As Vice Chairman of the Overseas Trade Board, and later of British Trade International (1976 – 2001), The Duke of Kent has undertaken over 60 overseas trips to promote British trade and exports, including to Europe, Japan, Australia and the Middle East. He was also the first member of the Royal Family to make an official visit to China. The Duke of Kent is involved with over 140 different charities, organisations and professional bodies which cover a wide range of issues, from commemorating the war dead, to fostering the development of British technology and industry. His Royal Highness undertakes numerous engagements each year in support of these organisations, both in the UK and across the Commonwealth. The Duke of Kent is passionate that future generations should be encouraged to remember the sacrifice made by so many during the conflicts of World War I and World War II. The Duke has been President of the Commonwealth War Graves Commission since 1970, an organisation that commemorates Commonwealth servicemen and women who died in the two world wars, and cares for memorials at 23,000 locations in 154 countries. The Duke remains closely involved with their work and travels widely to visit the sites. 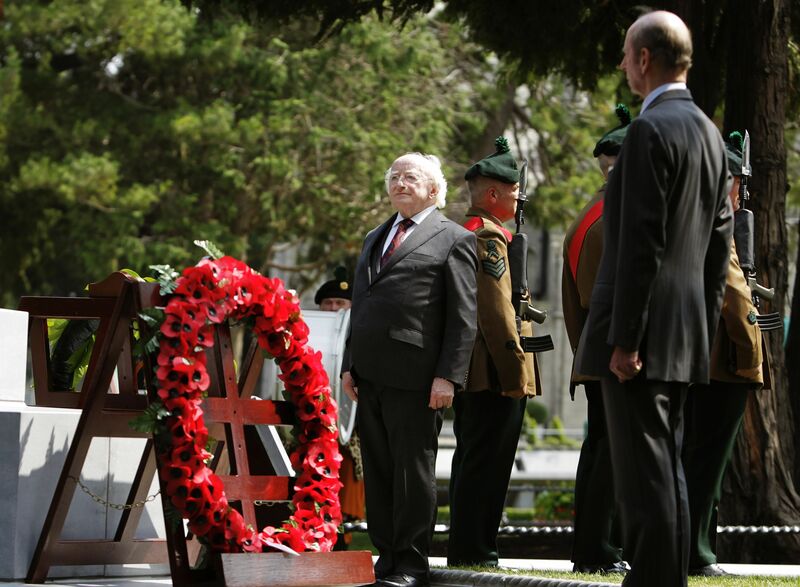 In April 2015, The Duke visited Australia and undertook a full programme of Commonwealth War Graves visits. His Royal Highness visited Centennial Park Cemetery and West Terrace Cemetery in Adelaide, and attended a Service at the Shrine of Remembrance, in Melbourne. As part of the trip, he also attended the ANZAC Day services at the Australian War Memorial in Canberra and took part in the ceremony to remember more than 140,000 Australian, New Zealand, British, Irish, Allied and Ottoman servicemen who died during the Gallipoli campaign, in the 100th anniversary year. In 2014 The Duke of Kent also visited Commonwealth War Graves in Belgium, Ireland and Bulgaria. The Duke of Kent has been President of the Board of Trustees for the Imperial War Museum since 1974 in this role he lends his support to exhibitions and keeps informed about the developments for the museum. The Duke of Kent has been President of the Royal National Lifeboat Institution (RNLI) since 1969, succeeding his parents. The RNLI, as it is commonly known, is a charity providing a 24-hour lifesaving service around the UK and Ireland. The Duke regularly visits lifeboat stations nationwide to meet the dedicated volunteer crews and the fundraisers who support their vital work saving lives at sea. In March 2015, His Royal Highness joined the volunteer crew on exercise aboard Exmouth RNLI’s Shannon class lifeboat R and J Welburn. As part of the exercise The Duke of Kent was given the opportunity to launch the lifeboat into the Exe Estuary and given a demonstration of the state-of-the-art lifeboat’s capabilities and its unique Launch and Recovery System. In 2016, The Duke of Kent took a tour of RNLI lifeboat and lifeguard stations in the Channel Islands. The Duke has been President of the Stroke Association since 1977, and has helped to promote fundraising for this charity that seeks to educate the public about the risks of strokes, the third most common cause of death in the UK. In 2010 The Duke of Kent became the first Patron of St Mungo's Broadway, a homelessness charity and housing association in England. The Duke is committed to supporting the organisation which helps men and women with accommodation, advice, health services and skills development, by helping to raise awareness of the problems faced by the homeless. His Royal Highness has visited a number of hostels and seen first-hand how St Mungo's Broadway staff support residents in a compassionate way, focusing on the person's recovery. 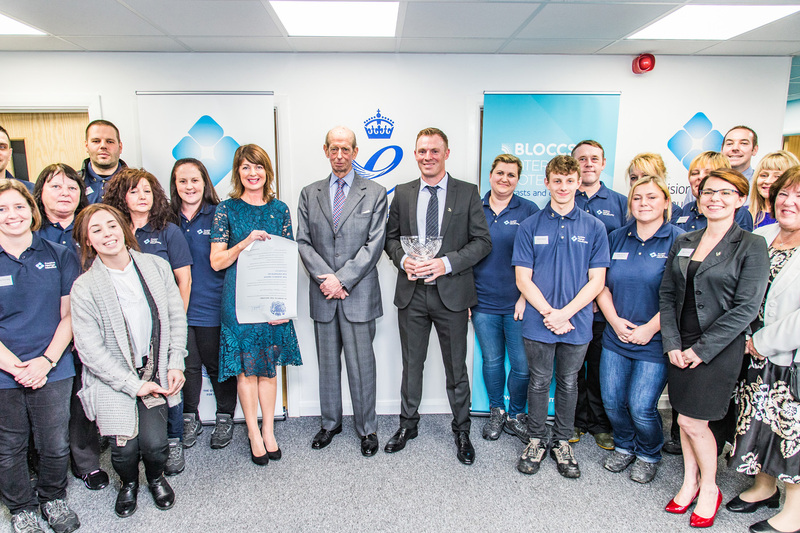 The Duke has been Patron of Endeavour since 1979, a small national charity which works at grass roots level with some of England's most disadvantaged and disaffected young people. In July 2014 he visited and opened their new Headquarters in Sheffield. The Duke of Kent is well-known for his involvement with the Wimbledon Championships. As President of the All England Lawn Tennis and Croquet Club since 1969, each summer The Duke attends Wimbledon and presents the winners' trophies to the champions at the end of the tournament. The Duke is often joined by other members of the Royal Family in the Royal Box to watch the matches. His Royal Highness is also Patron of a number of other sporting bodies, including the Ski Club of Great Britain; Kent County Cricket Club; and Royal West Norfolk Golf Club. He is President-in-Chief of The British Racing Drivers' Club. As Vice Chairman of the Overseas Trade Board and later British Trade International (now known as UK Trade and Investment) from 1976 to 2001, The Duke undertook over 60 overseas trips to promote British trade and exports, including to Europe, Japan, Australia and the Middle East. He was the first member of the Royal Family to make an official visit to China. Following his many years in the role, The Duke of Kent still retains an interest in British business at home and overseas. A number of the organisations with which The Duke is affiliated reflect his personal interest in technology and industry, including the Royal Institution, the Royal Academy of Engineering and the Royal Society whose Summer Exhibition he visits each year to view a number of the latest developments in science. The Duke has been Chancellor of Surrey University since 1976. The University, now rated as one of the top universities in the UK, has long and successful record of promoting scientific research and innovation, leading to several successful commercial ventures. The Duke's personal passion for music is reflected in his support for many musical organisations, from the London Philharmonic Orchestra and Opera North, to the Trinity Laban Conservatoire of Music and Dance in Greenwich, one of the UK's leading music colleges, and to regional festivals such as those at Newbury and King's Lynn. The Duke of Kent has for decades been active in fostering British-German relations and is Patron of the British German Association and the Dresden Trust, which both share this underlying aim. On 14 February 2015, The Duke of Kent was awarded The Dresden International Peace Prize for his contribution to the reconciliation of Great Britain and Germany. In 2004 the Dresden Trust presented the gold cross steeple which sits on top of the Frauenkirche cathedral, as a gift from the British people to Dresden. The cathedral in Dresden, Saxony was severely damaged by a bombing raid by the British in 1945, in response to the Germans bombing London. Both Britain and Germany suffered incredible losses during the Second World War air raids. The reconstruction of the Frauenkirche cathedral, and the installation of the cross and orb steeple, was a significant moment in the 60 year reconciliation process between the two countries, following the war. The British goldsmith who made the cross and orb is the son of a RAF airman who took part in the bombing raid on Dresden. The Duke of Kent was born Prince Edward on 9 October 1935 at the family's London home, 3 Belgrave Square. He was baptised as Edward George Nicholas Paul Patrick. He is older brother to Prince Michael of Kent and Princess Alexandra, and is first cousin to both The Queen and The Duke of Edinburgh. His father was Prince George, Duke of Kent, the younger brother of King George VI (The Queen's father) and King Edward VIII. His mother, Princess Marina, was the daughter of Prince Nicholas of Greece. In 1942 his father Prince George, then Duke of Kent, died in a wartime flying accident near Caithness in Scotland while on active service. The title Duke of Kent then passed to the present Duke. The Duke went to school at Ludgrove preparatory school in Berkshire (which later Prince Harry also attended) and afterwards went on to study at Eton, where he enjoyed rowing. He then went on to study at Le Rosey in Switzerland where he captained his regimental ski team in the Army championships. When his uncle King George VI died in 1952, The Duke of Kent, aged 16, walked in the procession behind The King's coffin during the State Funeral. A year later in 1953 he attended the Coronation of his cousin, Queen Elizabeth II. During the Coronation Service he paid homage to The Queen, making a pledge of loyalty to the Sovereign, after Prince Philip and Prince Henry, Duke of Gloucester. At the age of 18, The Duke of Kent joined The Royal Military Academy Sandhurst in Surrey, where he won the Sir James Moncrieff Grierson prize for foreign languages and qualified as an interpreter of French. In 1961 The Duke of Kent became engaged to Miss Katharine Worsley and they married in York Minster on 8 June. The couple had met while The Duke was based at Catterick Camp Army base in Yorkshire. The Duke and Duchess of Kent have three children: George, Earl of St Andrews, born on 28 June 1962; Lady Helen Taylor, born on 18 July 1964 and Lord Nicholas Windsor, born on 25 July 1970. None of their children carry out official Royal duties. They have ten grandchildren. The Duke and Duchess live at Wren House Kensington Palace, and in Oxfordshire. The Duke counts music and opera; engineering, innovation and science; and military history among his interests. 1955: The Duke graduated from Sandhurst as a Second Lieutenant in the Royal Scots Greys. 1966: The Duke attended the Army staff course and then served on the staff in Eastern Command. 1970: The Duke commanded a squadron of his regiment serving in Cyprus as part of the United Nations force. 1976: The Duke retired from the Army with the rank of Lieutenant-Colonel. 1993: The Duke was promoted to Field Marshal. The Duke retains close links to the Army today and he holds a number of senior appointments and visits his regiments on a regular basis. His Royal Highness made a number of visits to both Iraq and Afghanistan to visit his regiments when they were engaged in combat operations in those regions. The Duke of Kent is a Royal Colonel and a Personal Aide-de-Camp to The Queen, an honorary appointment with duties that include representing The Queen at memorial services, in the UK and overseas. A regular presence at events such as Trooping the Colour and the National Service of Remembrance at the Cenotaph, The Duke of Kent has supported The Queen throughout her reign. His Royal Highness has undertaken a number of overseas visits on behalf of Her Majesty over the course of her reign and continues to take on some of her duties, such as the presentation of The Queen’s Award prizes. The Duke of Kent has represented The Queen on a number of important occasions overseas during Her Majesty's reign, such as the independence celebrations in Sierra Leone (1961), Uganda (1962), Guyana (1966) and The Gambia (1965). The Duke returned to Uganda in October 2012 as part of the celebration of The Queen’s Diamond Jubilee, when members of the Royal Family travelled to Commonwealth nations on Her Majesty's behalf to mark The Queen's 60 year reign. The visit also marked the 50th anniversary of Uganda's full independence from the United Kingdom. The Duke's visit represented the continuity of his interest in this African nation and supported Her Majesty in her role as Head of the Commonwealth. The Duke of Kent has in the past been a Counsellor of State during The Queen's absence abroad, temporarily carrying out some of the Sovereign's official duties in the absence of Her Majesty. The Duke has supported The Queen at Her Majesty's Birthday Parade over many years. For most of The Queen's reign The Duke would ride in the procession behind The Queen during Trooping the Colour. The Duke still joins The Queen in the carriage procession for the Parade. In 2013 The Duke rode in the Glass Coach with Her Majesty and joined her on the Royal Dais. Over recent years The Duke has had the privilege of awarding a number of The Queen's Awards prizes on Her Majesty's behalf in recognition of successful UK businesses. To educate people about the two great naval operations which Admiral Ramsay led: The Dunkirk Evacuation and the Normandy Landings. To educate people about the life and career of Admiral Ramsay. To educate people about World War 2 more widely. Organisation promoting cultural and social relations between Britain and Jordan. Local social club in Norfolk. Local society intended to foster interest in the heritage of the county of Kent. The Bal brings together the Polish community in the UK and others with an interest in and love of Poland. The Duke of Kent is associated with over 140 different charities and organisations. The Duke of Kent meets Kasanga the Lion on a visit to !